Your goal is to make your client’s dream bathroom a reality. Our goal is to partner alongside you to ensure you have everything you need for your upcoming bathroom remodel. At ProSource® of Hudson Valley, we provide you with more than just products at wholesale pricing, we also provide you with personalized suggestions for your unique project. Feel free to bring your client to our showroom so they can select the exact items they want or stop by yourself to create a design they will love. Looking to add a modern touch to your bathroom design? A sink can make a bold statement or can be a subtle enhancement. Take a look at our vast array of style, design, and color choices. 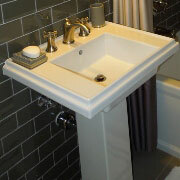 Bathroom sink faucets are a functional element with the potential to be a gorgeous design component. 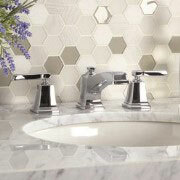 Find the right faucet to match your client’s distinct taste. With cascading water, the right shower can be an oasis on a stressful day. Find a shower that matches exactly what your client wants when you visit ProSource of Hudson Valley. 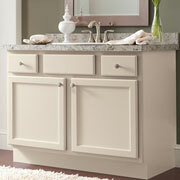 Bring a luxurious feel to your client’s bathroom with a decorative, yet useful, vanity. The right vanity can not only tie the bathroom together, but also, can offer extra storage space to a small room. 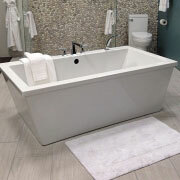 From comfortable jacuzzi tubs to stunning clawfoot tubs, we will find the right fit for your client’s budget and style. Stop by our showroom to take advantage of premium tubs at wholesale pricing. Functionality is key with any good toilet. 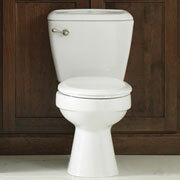 Browse our water-efficient toilets and save your client from handle jiggling and water waste.